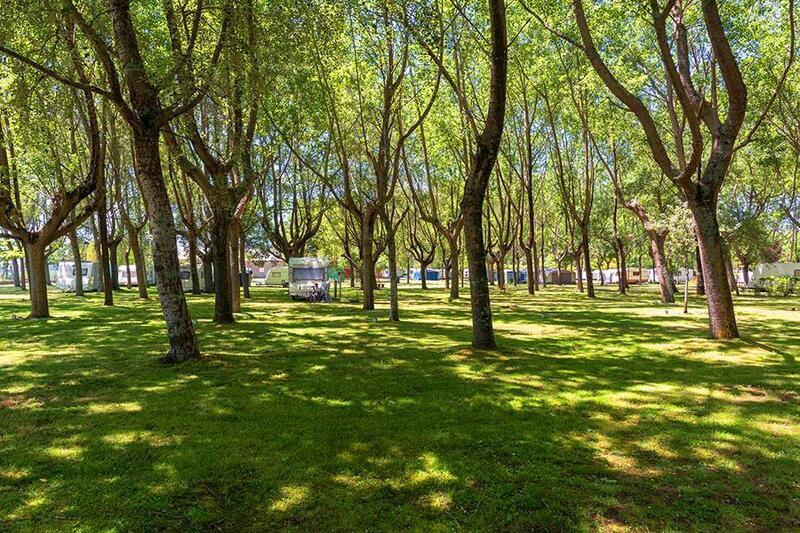 Camping Santa Tecla is a campsite with 432 touring pitches and 40 year round pitches. During low season, between 01-01-2019 - 30-06-2019 and 01-09-2019 - 31-12-2019, the nightly rate is €12,- at one of the 432 touring pitches at Camping Santa Tecla in A Guarda (Pontevedra). At this campsite you can not only use your CampingCard ACSI for inexpensive camping, you can also use your ACSI Club ID (as an alternative ID). Campsite located near the mouth of the river Miño. A campsite that has everything for rest and relaxation, water recreation. Everything you could need. Very well cared for and well maintained, friendly welcome. De maravilla, todo perfecto el trato excelente y la limpieza de 10, las niñas se lo pasaron fenomenal, repetimos seguro. Would you like to book Camping Santa Tecla or request more information? You can do both using the information below. From north, A55 to Tui exit 30, then the PO-552, then the CG-4.2. From Portugal: A3 to Tui exit 30, then the PO-552, then the CG-4.2. CampingCard ACSI will send your information request to "Camping Santa Tecla".